Mozilla 0.7 came out recently, so I gave it try. 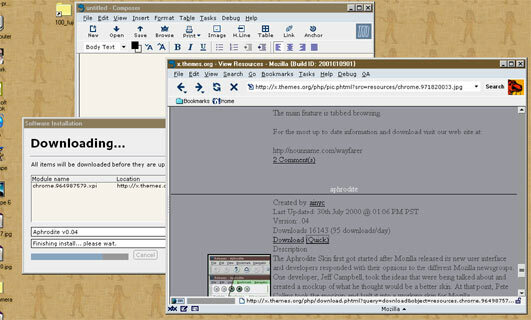 As you might know they claim that version 0.6 suppose to be the same with Netscape 6 final, so this one looks like next version, aka Netscape 6.1 or something like that. I can tell you that it definitely works better than Netscape 6 and in general becoming a decent browser which definitely ready to compete with IE 5.5. Skins, language auto-detect, translate and all other standard features like composer, mail etc. are definitely a very useful thing, I wish they would work a bit better. But note that it's not a final release yet, so many things are just simply not finished and not smooth enough yet. But on the other hand if you are a melkosoft hater and use Netscape 4.x you might thing to upgrade.